Benefitting Charities Under Your Will – When is it Better to Give? I recently read an article about a man in Washington who donated more than $11 million to several charities after his death via his Will. It got me thinking about charitable giving and legacy planning, and when it’s a good idea to consider naming one or more charities as the recipients (beneficiaries) of your estate assets. When Charitable Donations Are Important to You. If you regularly make gifts to one or more charities now, you may wish to consider donating to the same organizations after your death. This can be achieved through setting up a Will or a Trust where you name the charities, the portion of your estate or the amount to be gifted, and specify the purpose for which you wish the gift to be used by the charity. When You Want to Reduce Taxes. Most people know that if you donate money or assets to a qualified charity you are entitled to a deduction on your income tax return. Similarly, if you leave money to charitable organizations at your death, your estate is entitled to a deduction equal to the value of the gifted assets. For Massachusetts residents who have an estate in excess of $1 million, leaving money to a charity will reduce the estate tax that would otherwise be due. 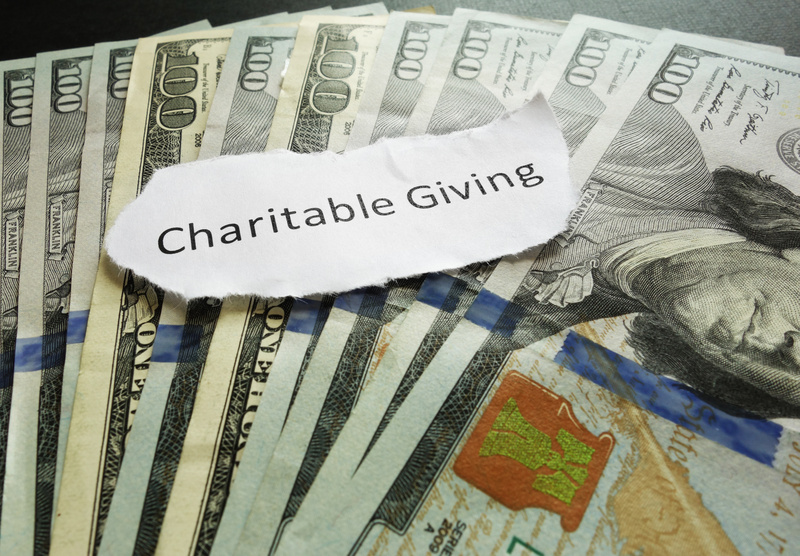 Naming a charity as the beneficiary of an IRA or 401K plan doubles the tax savings since not only is there an estate tax deduction but no income tax will be owed by the charitable recipient when funds are withdrawn from the retirement account. When You Want to Leave a Legacy. If you are able to make a significant gift to a charitable organization or you have the funds to establish your own foundation, then you can leave an estate planning legacy behind that will continue well beyond your lifetime. A foundation is also an excellent way to involve family members in your pet charitable cause and to foster charitable giving values. When You Want to Control the Distribution of Your Estate. In Massachusetts you are considered to have died “intestate” if you do not have a valid Will at the time of your death or if all of the beneficiaries named in your Will have predeceased you. Massachusetts law will govern to whom your estate will be distributed if you die intestate. Under Massachusetts law, the beneficiaries of an intestate estate are determined by several factors, such as your marriage status and your surviving family members at the time of your death. For example, if you are a single woman with no children, your estate will be distributed to your surviving parents if you do not have a Will. If your parents predecease you, then it will be distributed to your surviving siblings, if any, and if none, your estate will be distributed to continually more remote family members. This may mean that a family member with whom you have a poor relationship or no relationship may inherit your estate. If you have absolutely no surviving family members, under Massachusetts law your estate assets will be distributed to the Commonwealth of Massachusetts. Designating a charity as the beneficiary of your estate in the event all of your beneficiaries have predeceased you will permit you to control that final distribution and prevent the Commonwealth from receiving your estate assets as a last resort. At Samuel, Sayward & Baler LLC, we carefully consider your wishes, including your charitable intentions and your estate planning goals, and then develop a plan with you to ensure that your estate plan represents your wishes. Call us at 781 461-1020 to schedule an appointment to meet with one of our estate planning attorneys to talk about achieving your goals.